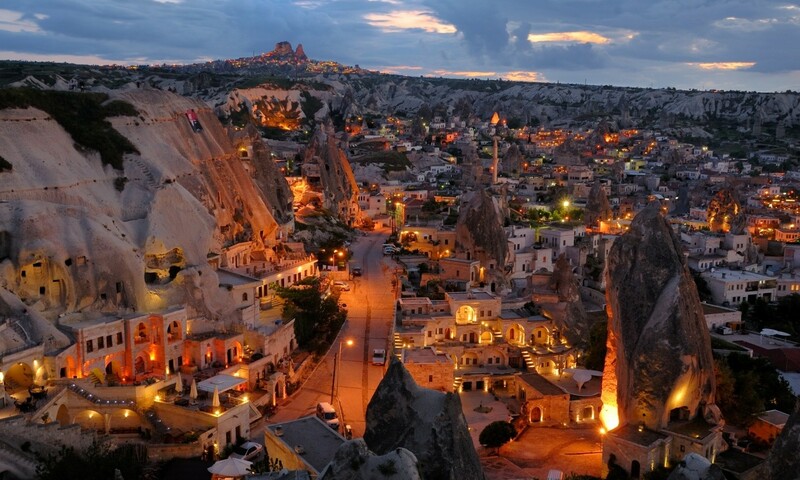 Cappadocia, which was added to the World Cultural Heritage List by UNESCO in 1985, is a district of Nevşehir. This region of natural wonders, rich in historical culture, is said to have occurred over the years because of the ashes that the volcano erupted over 60 million years ago. The region which houses many civilizations has been used as a residential area and various buildings such as houses and churches have been built by the old people and these structures have survived to the present day. Stepping into Cappadocia is to ensure that each individual is immersed in a different atmosphere as if on a movie stage. As one of the places worth seeing thanks to its fascinating geographic beauty that pushes the imagination limits and a wealth of underground, we have compiled this article as a Cappadocia Travel Guide. What is your review? What to do? Where to stay? You can find answers to all your questions as you think. Before starting to the travel guide, I strongly recommend you to take a look at our Cappadocia tours. Because they are well-prepared itineraries. The most important places in Cappadocia is separated, it is impossible to discover by yourself. You need a private car. 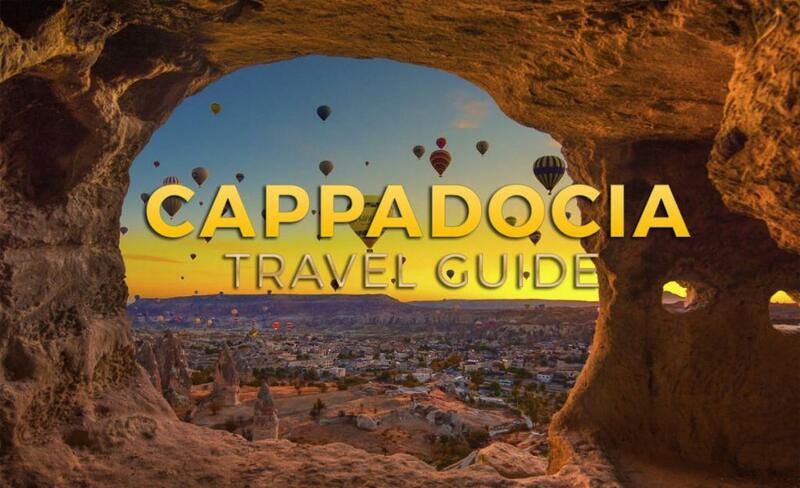 Here are the best Cappadocia tour itineraries. Due to the continental climate of Cappadocia, the winter months are quite harsh. Therefore, the best time for those who want to visit the region in April and October. In the spring and summer season, visitors to the region can have a pleasant time. Especially in the spring, greening around, clear weather and moderate weather allow you to witness spectacular images. If you are going to balloon tour, you should not prefer rainy, windy and foggy days. Therefore, it is very important to examine the weather condition before taking Cappadocia tickets. Due to the fact that it is an important destination point in terms of country tourism, transportation to Cappadocia is very easy. By land, sea, and air it is preferable to go. Highway: It can be reached by road via Istanbul-Ankara direction. Railway: When you want to reach by train, you have to pass to Kayseri first, because there is no direct access to Cappadocia via railway. And from there you will need to reach Cappadocia via the railway station. Airline: In order to reach by plane, you must land in Nevşehir or Kayseri. With Turkish Airlines and Pegasus, there are opportunities to make your flight. Especially Turkish Airlines is presenting at affordable prices. Nevşehir is generally preferred for transportation to Cappadocia which is half an hour away from Nevşehir and 1 hour away from Kayser. Both airports are provided with Cappadocia shuttle services through Havaş services. You can also rent a car from the airport in a short time. Cappadocia, which impresses the visitors with its spectacular atmosphere, seems to have multiplied its options with the popularity it has seen in recent years. In addition to the standard hotel concept, the area that comes up with the cave hotels, allows people to have a different experience. Due to its structure, the cave hotels, which were hot in the summer and cool in the winter, were built into carved rocks and a very different air was provided. 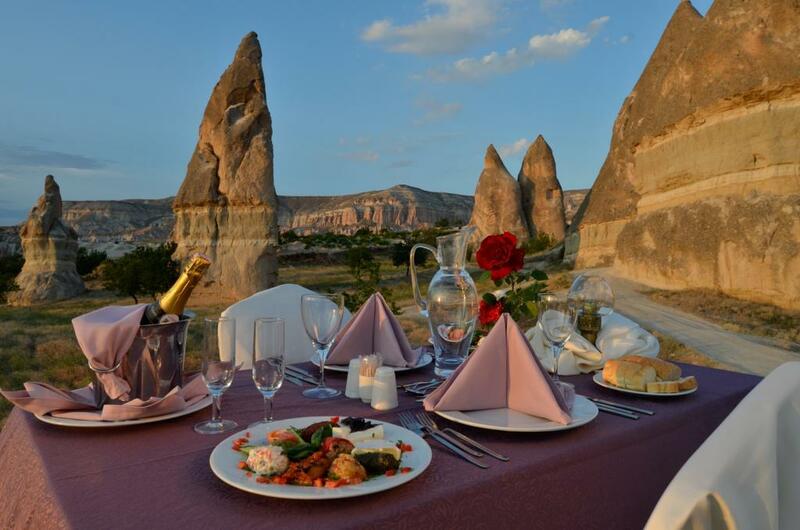 We have provided some of the selected hotels for your Cappadocia Accommodation for your opinion below. You can make a reservation at the hotel by booking! Prices can be changed according to the availability and the season. Try to book your hotel as early as it is possible. Maccan Cave Hotel: It serves between 20 and 100 EURO at variable prices. Cappadocia is not a small area to visit in a day. You can see the beauty of Cappadocia, which is one of the places you will be fascinated by a lot of Places to Visit. Before visiting this area, we advise you to plan your time correctly to see each frame. Below are some of the most important centers for planning. 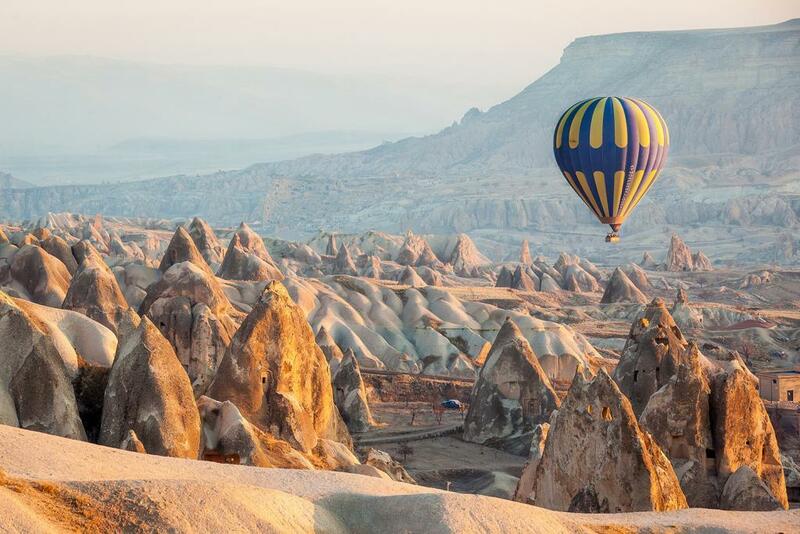 Places to see in Cappadocia can be distant. Therefore, we would like to remind you that you need to make good planning in transportation. If possible, we recommend renting a car. It will also be a great experience to wander through ATVs that you can rent among these natural beauties. It was built by Vecihi Pasha in 1288 for Kılıçaslan. Wish Hill, where the monumental tomb of Kılıçaslan is located, is an ideal spot for those who want to watch the city from a bird’s eye view. You can immortalize your memories with a picture of where a magnificent landscape is laid under the feet. This center, where you can taste the best taste of wine, was established in 1943. A rock is completely carved into the upper floor for tasting wine while the lower floor is designed as a wine cellar. It is an important point for wine lovers. Located between Urgup and Goreme, the castle is thought to have been built by the Byzantines. The building, which has an enormous image with its interconnected rooms, tunnels, and corridors, allows for a journey that is as beautiful as the minds can climb to the top. The Zelve Region, where the wide shaped and pointed fairy chimneys are densely located, consists of 3 valleys. It is also known that it is a religious center as well as a settlement center in the 9th and 13th centuries. Besides, monasteries and various churches are also located in this region as educational centers. The fact that its historical texture has survived to its present day has allowed it to be located in Places to Visit in Cappadocia. 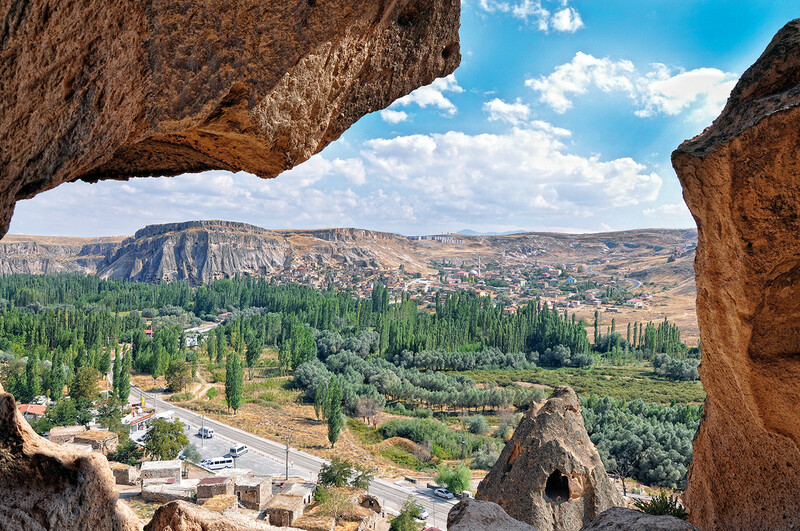 The valley, which has a unique view, is a must-visit place during the Cappadocia tour. You can lose into the historical dreams and natural beauties, hike the footpaths and enjoy the wonderful moments while tasting your tea with the sounds of birds. It is a place where you can see the fairy chimneys from a bird’s eye. At the same time, the enormous beauty of the surrounding rocks will surely impress you. However, it is an ideal travel point where you can walk and walk and explore the buildings that smelt history. 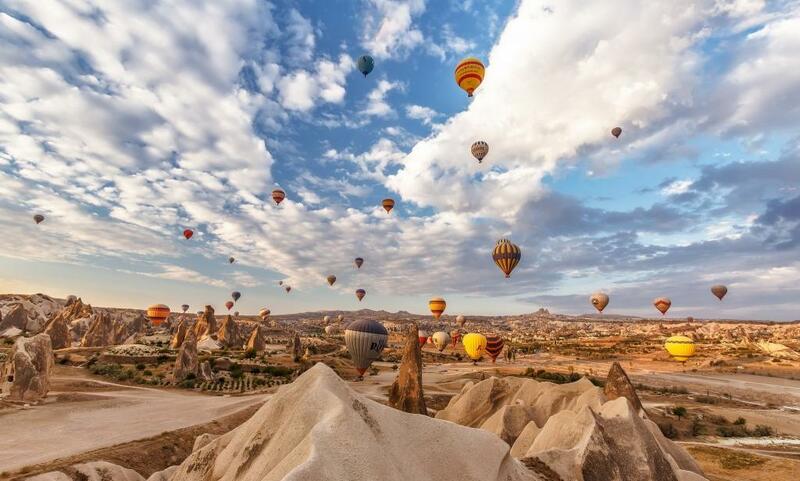 Famous for its balloon tours, Cappadocia has unique historical and natural beauties. The area will take a few days, of course, by foot or by car to see every part of it. But if you want to travel around the region quickly, the best way to discover is the Cappadocia Balloon Tour. Manoeuvring between the rock houses, fairy chimneys and gardens, you can watch everywhere from the sky with this magnificent geography of Cappadocia. You can also experience happy moments with unforgettable beauty. You can see a variety of balloons with more than one color in the region where the balloon tour is taking place. Because there are different firms serving in the region. For those who are generally wondering, balloons have a capacity of 2 to 24 people. Cappadocia Balloon Tour Prices are still in the stable. However, certain discounts are made in periods of high demand. At the same time, you will be able to get a discount of up to half the discount by early booking. In addition to the historical beauties, there are entertainment centers that appeal to people of all ages. In Cappadocia/Avanos, there are places where Turkish folk dances are exhibited. For those who want to listen to live music, Göreme will be an ideal spot. Most of the nightclubs that appeal to young people are located in Urgup. You can choose according to your entertainment and enjoy your holiday. The Cappadocia concept reflects the Red Rock Cave Bar which offers a fun nightlife. 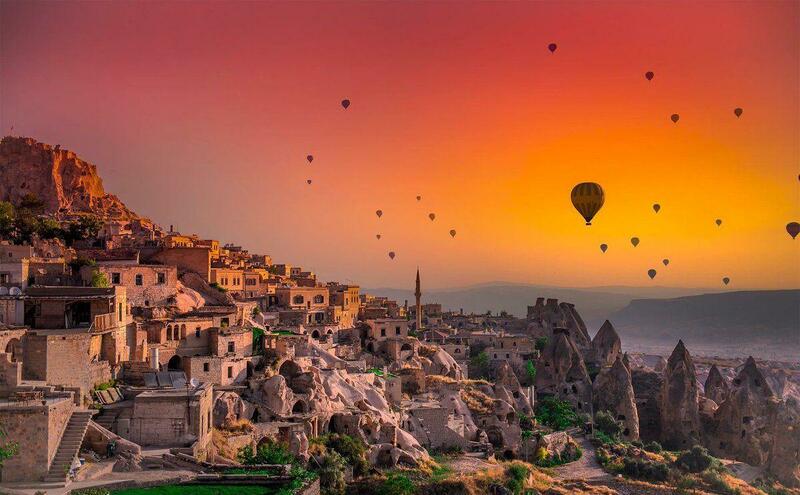 Foreign tourists flocking to Cappadocia usually spend their evenings attending traditional Turkish night events. Within the scope of the tour or open to everyone, in Turkish Night, food and beverages of Turkish culture are served. Traditional Turkish dances and music are introduced. You can also use this option to have a great night with a belly dancer or other folk dances. There are various souvenir objects that you can buy for yourself and your loved ones in this region. Souvenir made from earth, made from special stones is quite remarkable. You can choose from unlimited options depending on your wish and remember your memories. You can get souvenirs around most tourist spots. Also in the center of Urgup, there are many places where souvenir shops are located. Many large and small gifts representing Cappadocia can be purchased from these shops. The restaurants in Ürgüp, Göreme, and Uchisar, which make great wonders about food, can be said to be quite ingenious especially for the famous Kebab of the region. In addition, when you visit these regions, it is recommended to try the Düğün Çorbası, Tandır, Güveç ve Saç Tava. While the main courses are the average price, the entrees are generally cheaper. For traditional dishes Seten, Muti, Dibek ve Zeytin Cafe. In winter, you may be exposed to the same amount of heat in the region where you will encounter a very strong wind. You must take the necessary precautions for weather conditions. You have to make your choice carefully. The heating system of some hotels is really bad. 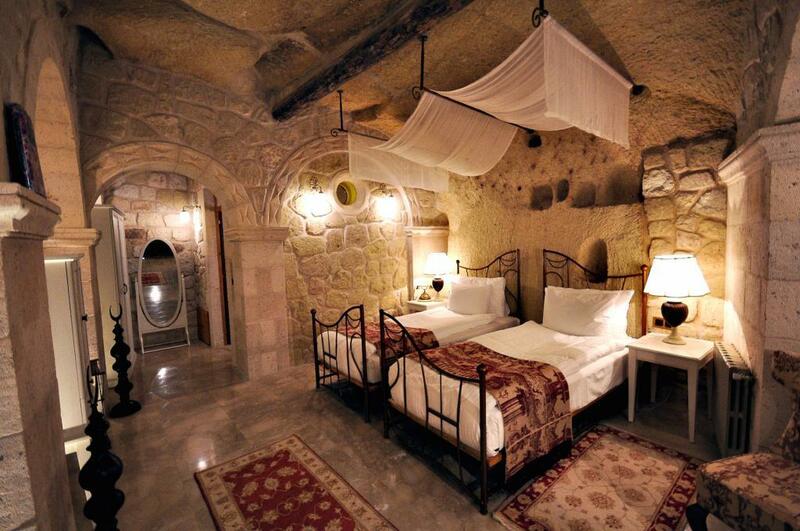 You can check out our Cappadocia hotel recommendation section to avoid a cold night. During your visit to the region, you should join balloon tours, ATV tours, and horse tours. Because you will witness the beauty you haven’t seen in your life. The locals are as friendly and warm-blooded as you would ever expect. Therefore, do not hesitate to talk with tradesmen. Be sure to know different cultures will add plus to your life. You must definitely set the trip route in advance. Because when you step into this city, it is important that you don’t waste time. Exploring as many places as you can see will benefit in all respects.